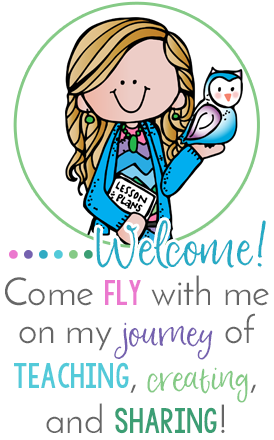 I'm excited to join another fun linky party! The sweet and talented Nicole from All Things Apple is hosting this fun linky on Sundays only. A group of bloggers will be joining Nicole and offering different deals from their TpT stores. Below is mine. 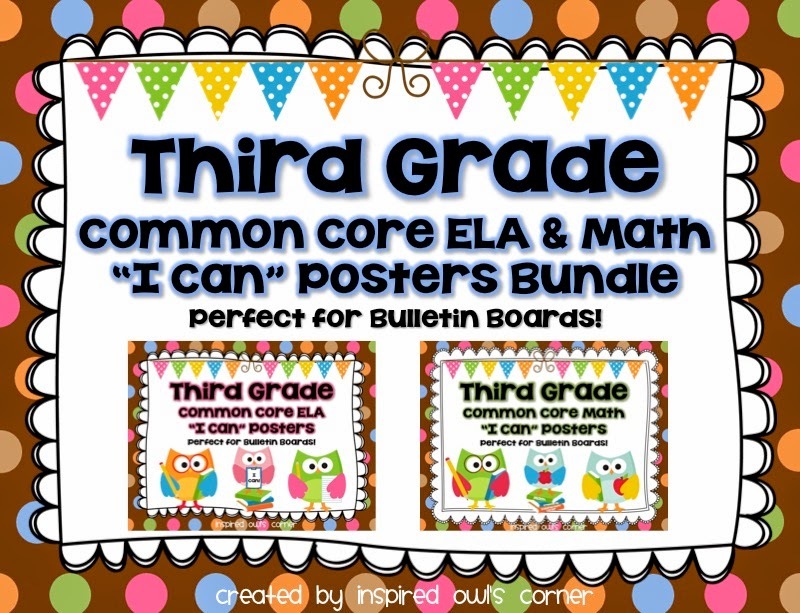 If you are a second or third grade teacher and in need of CCSS ELA and Math "I Can" Posters, I have bundled sets for you. 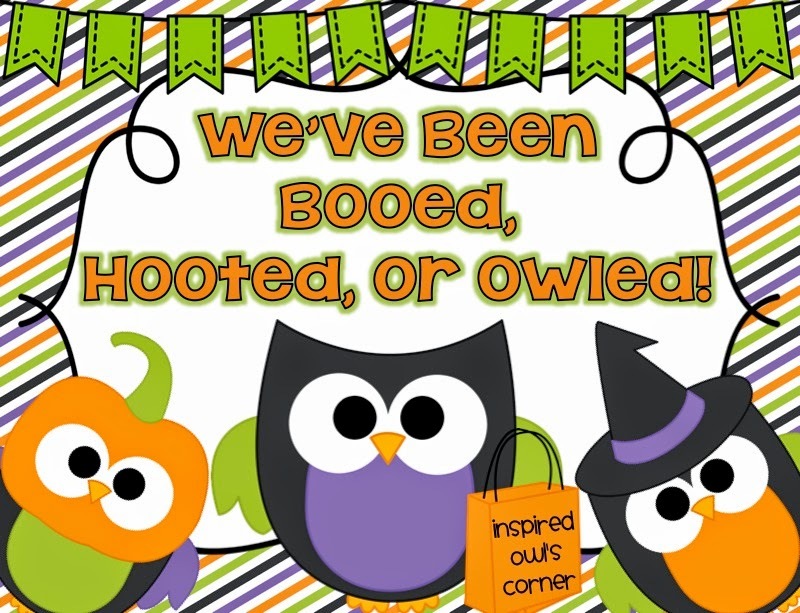 These packs have an "I Can" statement for each standard, plus cute owl graphics added! I have included both color and an identical set with the backgrounds removed, so there will be less colored ink used (The graphics still contain color). 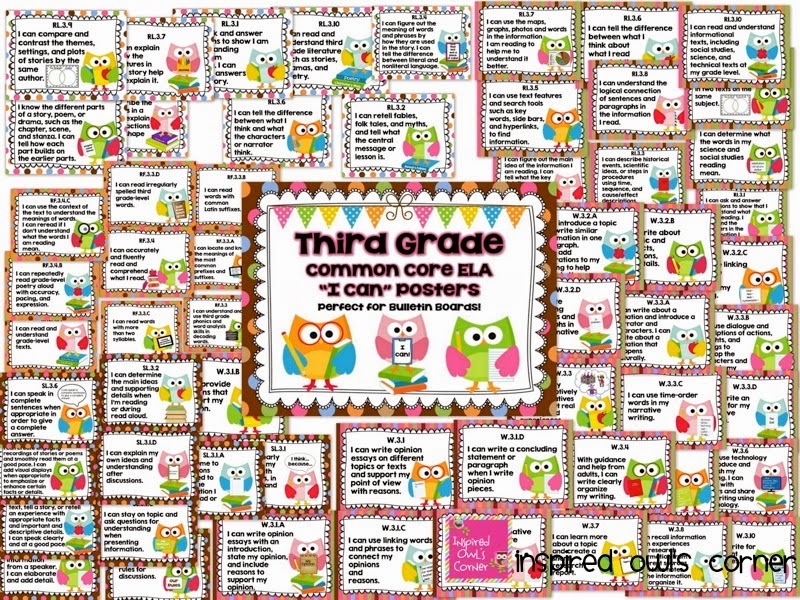 I am using these on my focus wall this year, and I love seeing the students referring to them during the week. I am constantly referring to them, and they have really helped me to learn the CCSS standards, since this is our first year using them. My deal of the day is if you purchase either the second or third grade bundled sets, I will send you one item of your choice from my store for free. 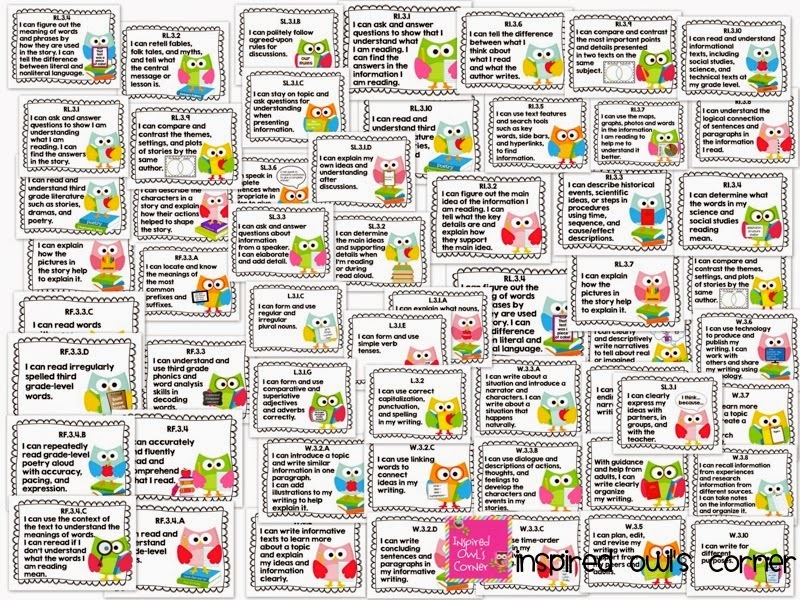 Just email me your TpT user name, the item you purchased, and your free choice to theinspiredowl@gmail.com, and I will send your free item! My entire store will also be 20% off! Below is a peek at the third grade set. The second grade set looks the same, but has second grade standards (of course!) 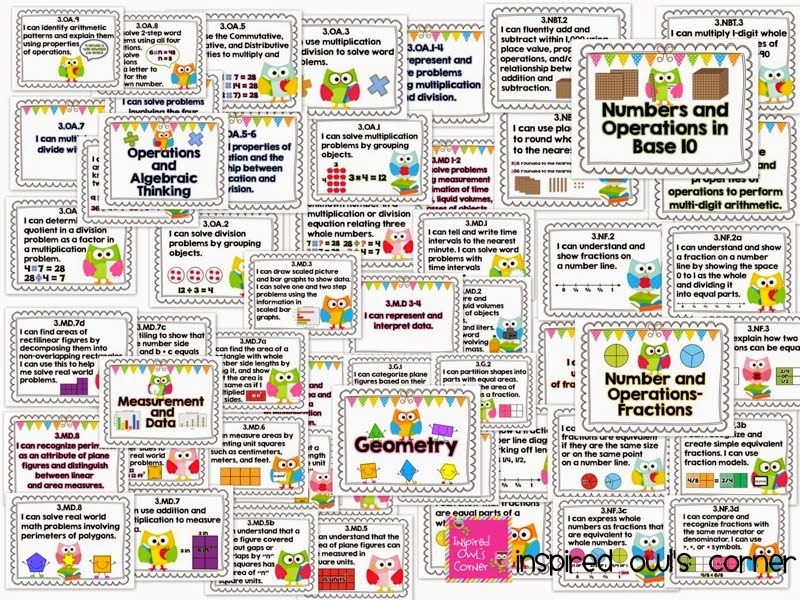 I also have the ELA and Math posters sold separately for each grade level if you are interested in that. The bundled sets are cheaper than buying separately though. 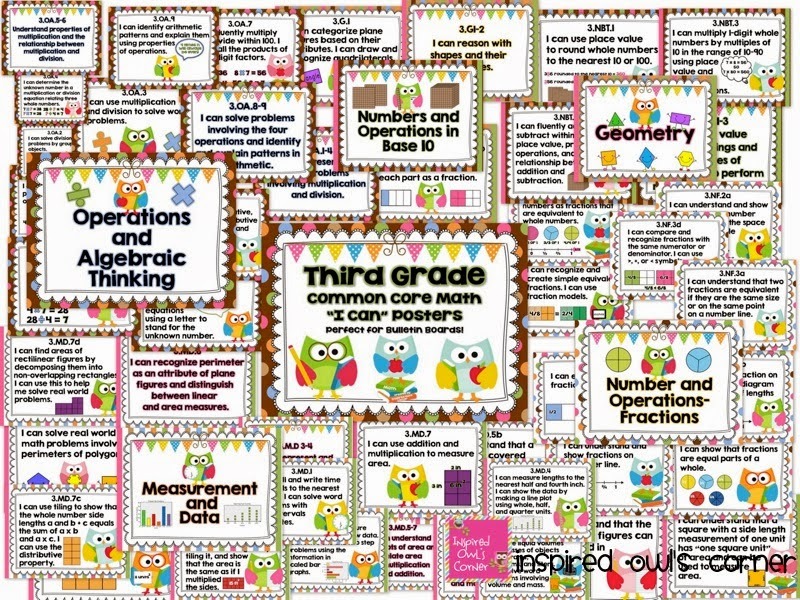 Here's a peek at a third grade math poster with color, and the one below with less color. 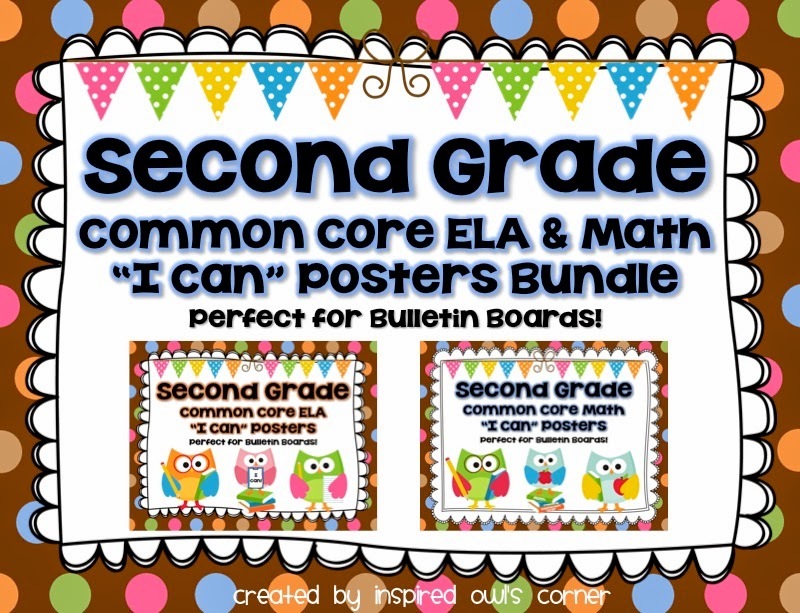 Click on the picture below to see the second grade bundle. 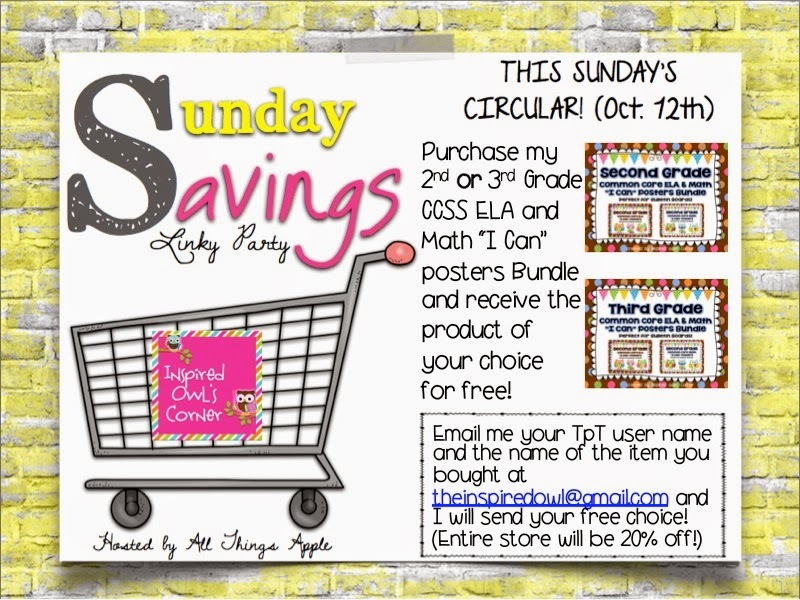 Click on the picture below to see the third grade bundle. I'm excited to see what everyone else has on sale! Don't forget to check back tomorrow for a fun Halloween/Fall Freebie! Yay!!! Thank you again for linking up this week!!! I absolutely love seeing everyone's awesome resources!! Your "I can" sets look great! !